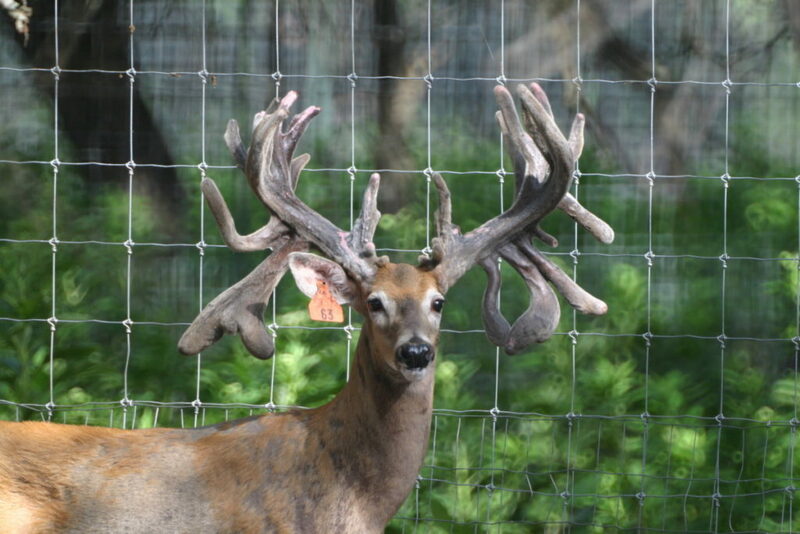 Dedicated to improving White-Tail Genetics since 1992. 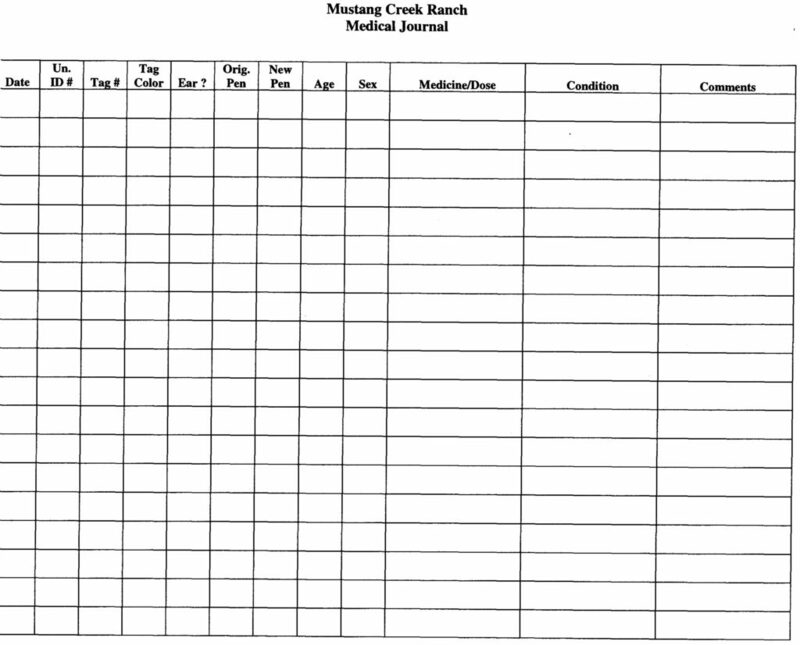 ALL DEER LISTED ON OUR INVENTORY ARE OWNED BY MUSTANG CREEK RANCH™! 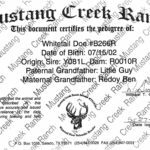 We currently have about 33 mature does exposed to our best bucks including Mustang Gladiator, Mustang Y7 and Mustang WideTrack. 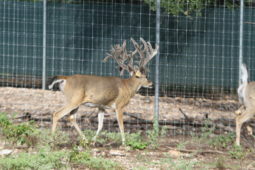 We have 17 mature breeder bucks, 14 yearling bucks and 21 yearling does. 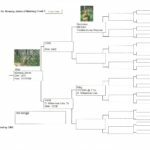 Our extensive Scientific Breeder Operation includes genetics from Ohio, Missouri, Illinois, Pennsylvania, Arkansas, Louisiana and Texas. 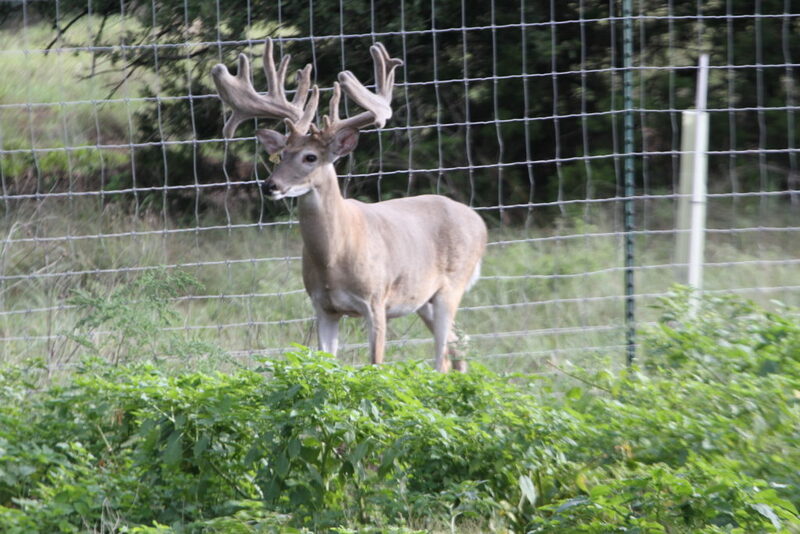 Our exceptional stock also includes offspring from The Lone Star State’s leading White-Tailed Deer breeders such as Tommy Dugger, Lee Wheeler, Gene Riser, Dr. James C. Kroll, Donovan Williams and Sammy Clifton. 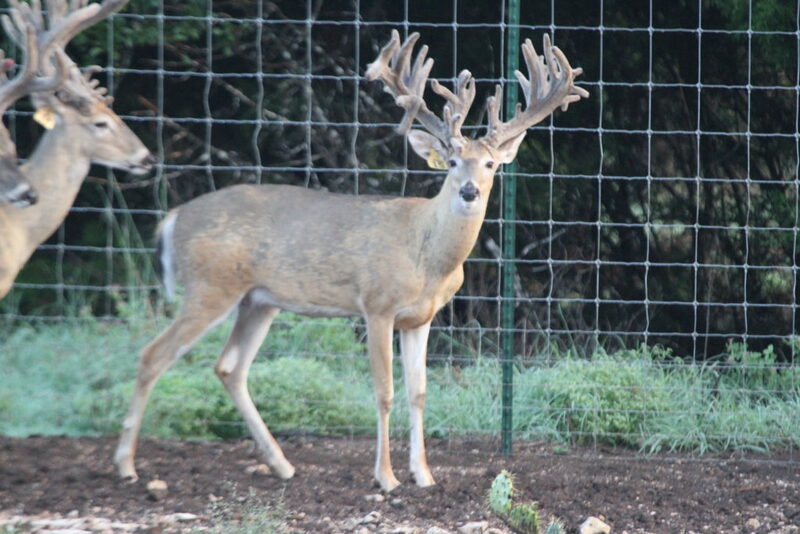 Mustang Creek Ranch™ doe are of exceptional genetics. 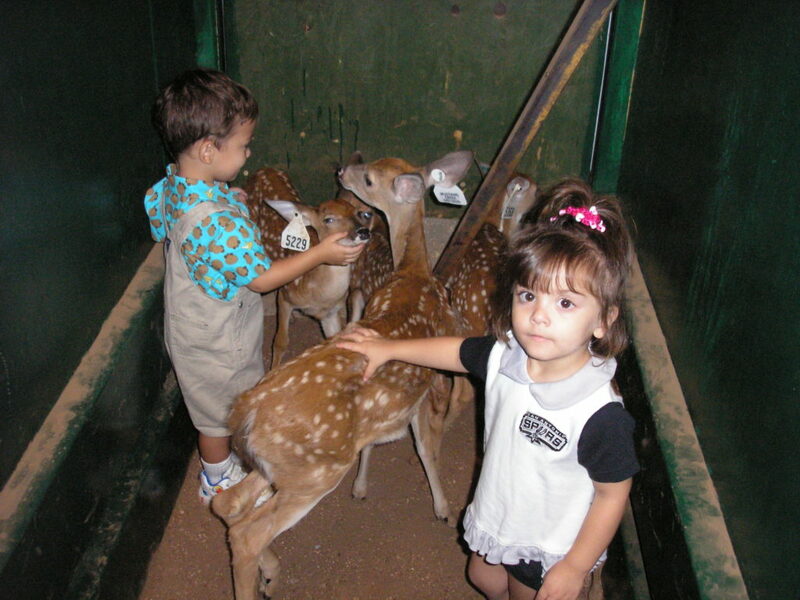 Research has proven the doe’s role in passing on strong traits. 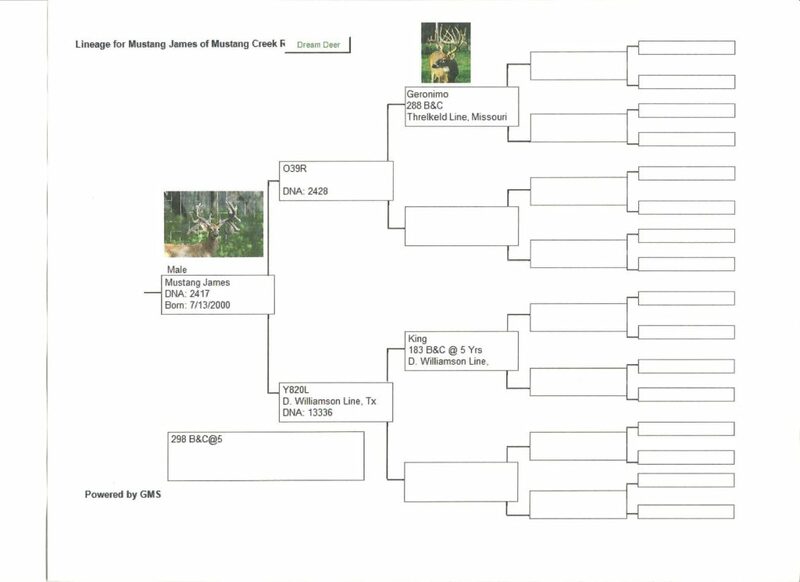 In our efforts to improve heredity, we have invested equal, if not greater energy, in ensuring the pedigree of our dams. 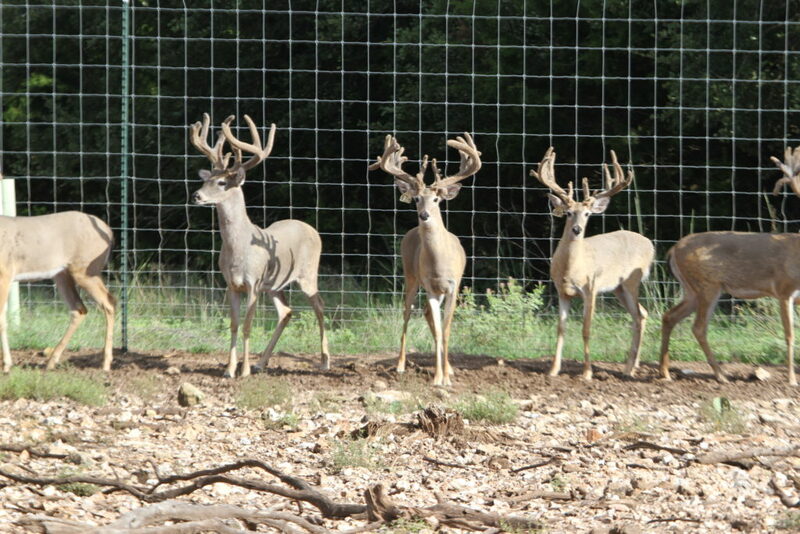 Open doe, as well as bred doe are available for delivery. Quantity discounts are offered for those buyers seeking to place large orders of deer. 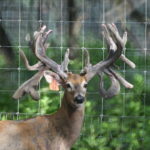 You are welcome to contact us and ask more about the pedigrees and specifics of each deer. We are happy to answer your questions. 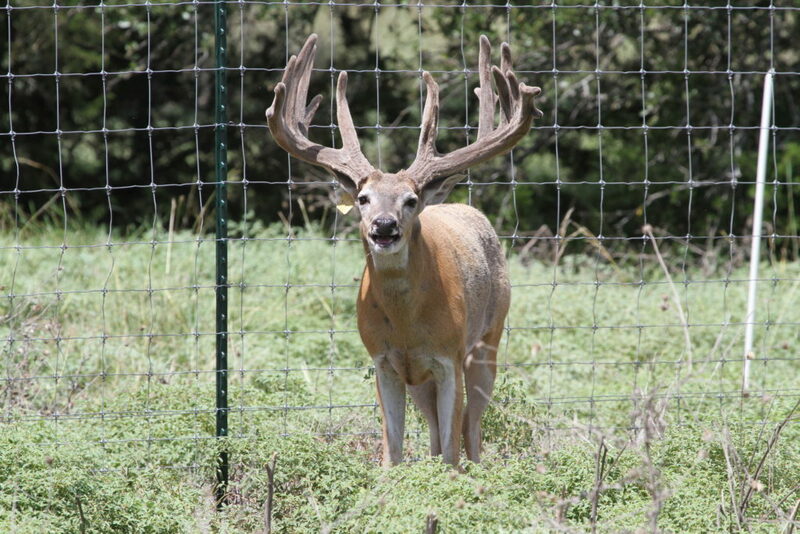 Our Category 1 CWD status is the highest clearance available. We work tirelessly to protect the health of our animals. 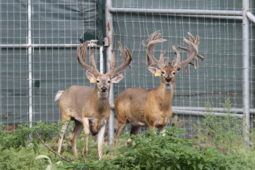 The Deer Breeding Facility was designed by Bill Grace following the recommendations of Dr. Kroll. Different deer breeding operations require specific designs to suit their needs. 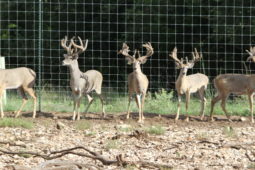 With this in mind, the “Wedge Configuration” in our pens enables us to work deer from one pen to another without much stress on the animal or handlers. The funnel effect facilitates the moving from a large area down to a smaller area and then out through the swing gates and into the driving lane. 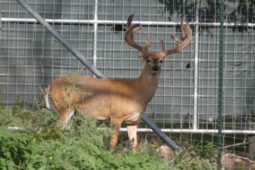 The handling facility, squeeze chute and small laboratory are located at the end of our driving lane. 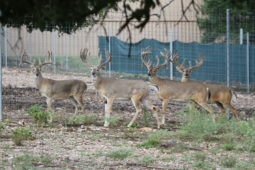 This lane wraps around the facility; “softened” corners and turns tend to slow the animals considerably before entering the Capture and Chute area. 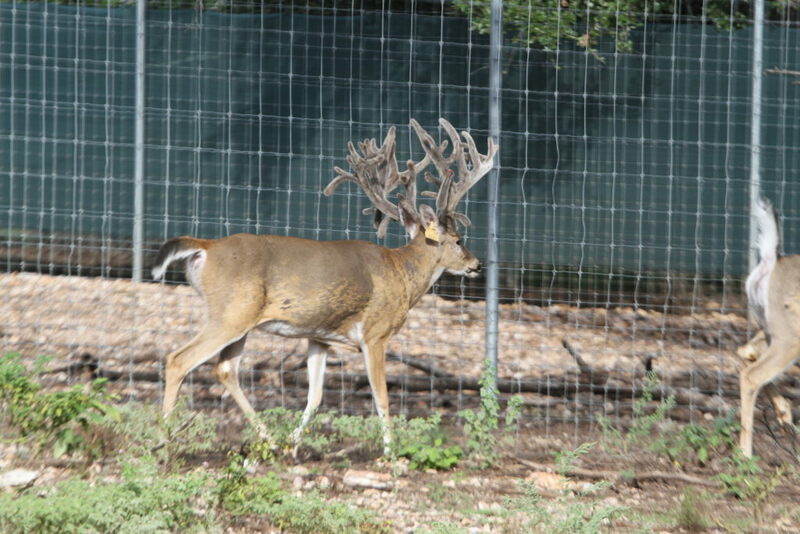 Once in the chute, we are easily able to vaccinate, measure massive racks, and medicate or treat deer. The chute also provides us with the ability to A.I. does, place and remove implants, tattoo and place ear tags. 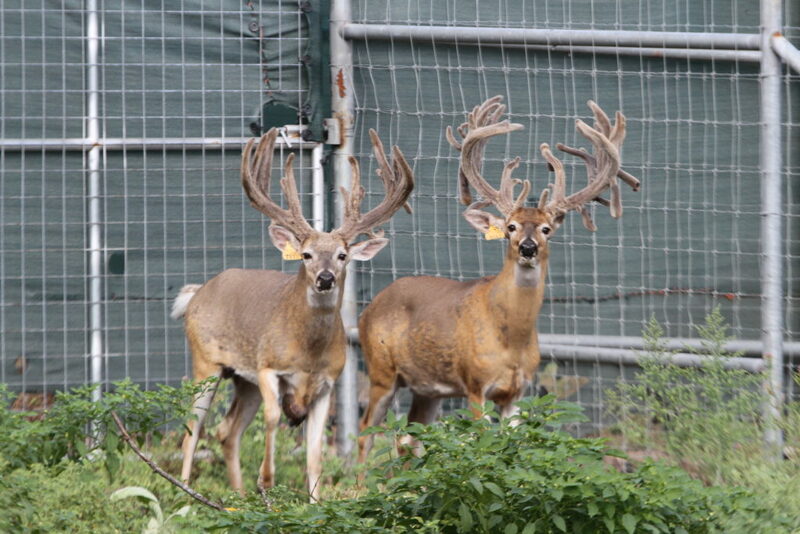 We believe that in reducing the amount of deer that have to be tranquilized for treatment, we are increasing our potential for healthy deer. We also reduce some of the strain by performing some of the treatments, such as A.I, at night when the does are less likely to become over-heated or stressed. We believe that when you reduce stress on an animal, you increase the potential for great antler growth, improved body weights and flourishing fawn births. 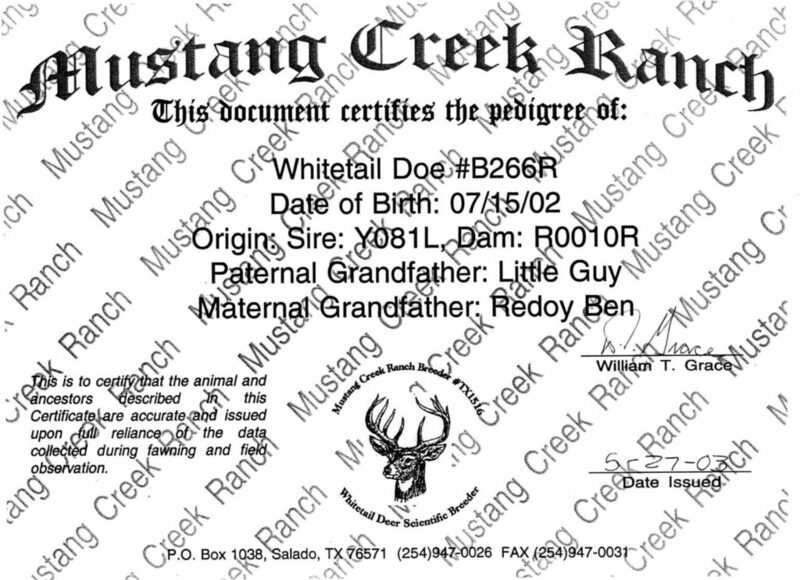 Mustang Creek Ranch™ keeps complete and accurate medical records on all of our breeder deer. 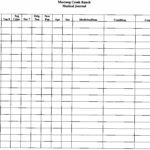 We take precise notes on all medications, vaccinations and procedures completed on all deer. 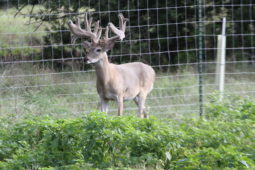 Discriminating buyers/breeders of White-Tailed Deer can appreciate our dedication to the health of the species and our commitment to the industry. 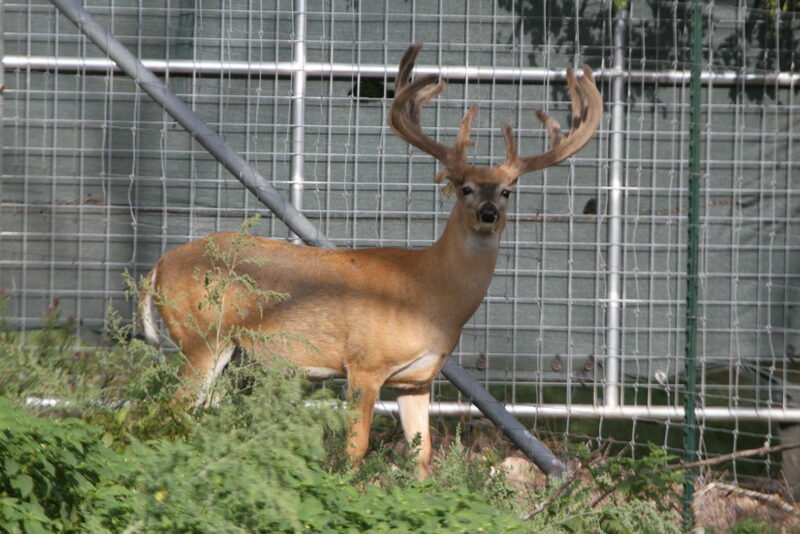 Our facility is Category 1 CWD Status, the highest rating achievable through the State of Texas Parks and Wildlife!